One-of-a-kind “Field to Feast” Dinner event on March 25 is not to be missed! What do you get when you combine Walt Disney World Resort’s talented award-winning chefs, wine, craft beer and cocktail pairings selected by Master Sommelier George Miliotes, live music, farm tours, a fun raffle and 100% of proceeds benefiting a fantastic charity, the Second Harvest Food Bank of Central Florida Kids Café Program? A one-of-a-kind event not to be missed! The 4th Annual “Field to Feast” Dinner, presented by Edible Orlando and sponsored by Walt Disney World Resort. 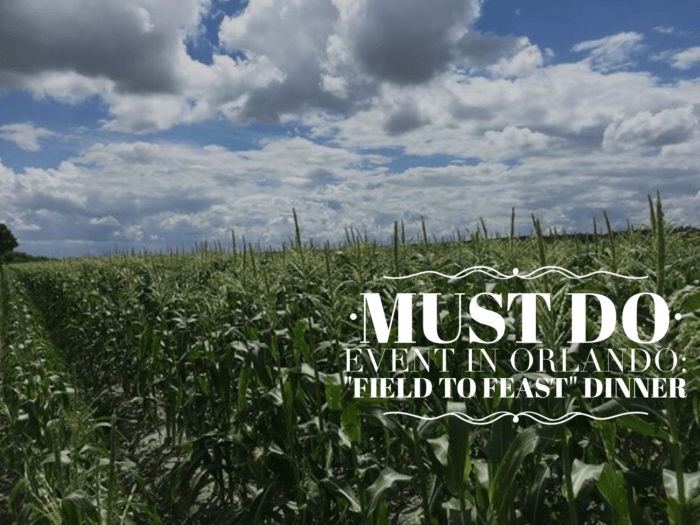 If a Farm to Table event in a working farm is on your foodie “someday list” / bucket list, then this is your chance to cross it off and #MakeSomedayHappen. 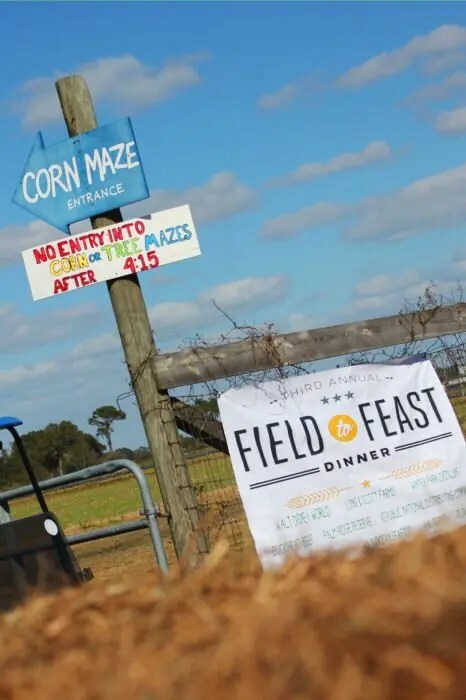 Field to Feast is the only event of its kind where Disney chefs bring their best dishes to the farm. Imagine Epcot’s Food & Wine Festival “Party For The Senses” but in a farm setting! 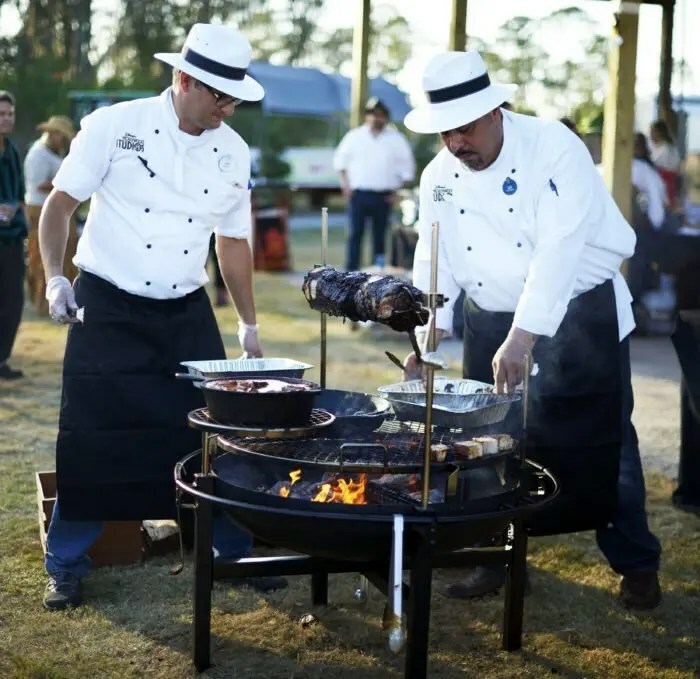 Guests have the opportunity to chat with the chefs in a casual setting, enjoy great food and wine presented in stations, dance to live music, jump on a wagon for a ride around the farm and feel good knowing that all proceeds benefit a great charity. The Kids Cafe Program of Second Harvest Food Bank of Central Florida is an after-school meal service program that provides food to needy children in Orange, Seminole, and Osceola counties. ^ Location: Long & Scott Farm in Zellwood, Florida, the only farm still producing Zellwood’s famous sweet corn. Event is held outdoors. ^ Time: Arrive at 4:30pm to check-in and enjoy a glass of wine, craft beer or signature cocktail. Culinary stations begin at 5pm and conclude at 8pm. ^ Tickets: $175 per person. This event sells out every year! Click here and get your tickets today! ^ The Menu: features locally sourced dishes created by award-winning chefs of Walt Disney World and presented in a dine around setting with stations so you may graze and enjoy. ^ Farm tours: are available throughout the evening. ^ All guests must be 21 or over. ^ Attire: Dress accordingly for the weather and select footwear comfortable on dirt and soft ground. ^ Parking: available at the farm, a short walk from the event site. Get your tickets and go Make Someday Happen! I hope you see you there. I’m planning to go! It looks super fun! Awesome! I look forward to seeing you there.